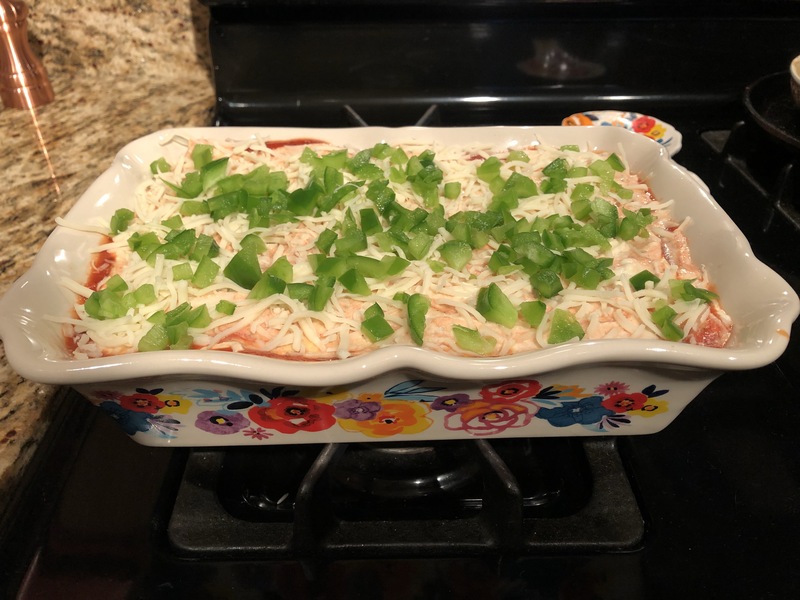 I’ve made many versions of lasagna; Taco Lasagna and Nacho Lasagna to be precise, but sometimes I crave something a little more classic. A beef ragu and a creamy ricotta filling with a crust of cheese and sauce bubbling around the edges. So that’s exactly what I made last night. It’s simple like any lasagne, just a little assembly required and little cooking here and there. While the Ragu is simmering away mix all the ingredients for the ricotta mix in a small bowl. Once the Ragu is cooked, it’s time to assemble the Lasagne. Start off by putting some Ragu and marinara on the bottom of your baking dish. (I like mixing some plain marinara into the Ragu to cut the concentrated flavour, but you can skip the plain marinara in the Ragu layer if you like) Then a layer of lasagne sheets. Then another layer of Ragu and marinara, then some mozzarella. In the second layer spread out the lasagne sheets, then a thin layer of plain marinara sauce. Dollop half of the ricotta mix and spread it out evenly. If you like extra cheese you can add some mozzarella to this layer too. Then repeat the Ragu layer as before, and then the last ricotta layer. After all the layers are complete I like adding a slightly thicker layer of mozzarella on top so once it bakes it becomes a nice golden brown. I added some fresh bell pepper on top as well. Once you’re done layering you can bake the lasagne right away at 375F or refrigerate it for up to one day before you bake it. You can also freeze the lasagne, and bake it when needed. Baking times can vary according to your oven. It’s done when the top is golden brown and the edges are bubbling, which can take anywhere from 30-45 minutes.